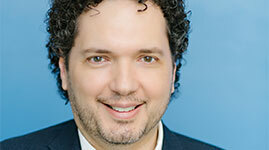 Dr. Joseph Cafazzo is an associate professor at the University of Toronto and executive director of biomedical engineering at the University Health Network. He is collaborating with manufacturers of diabetes devices to ensure they are compatible with computers, smartphones and each other – making it easier for people to manage their type 1 diabetes. Dr. Cafazzo is also working on new features for bant – a unique, free smartphone application he launched in 2010 with the support of TELUS Health Solutions that offers a simpler and more attractive option for daily diabetes management. For more information about his research and bant, click here. 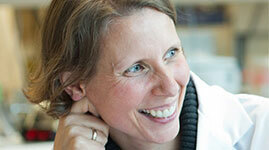 Dr. Jayne Danska holds The Anne and Max Tanenbaum Chair in Molecular Medicine. She is a professor at the University of Toronto Faculty of Medicine and a senior scientist at The Hospital for Sick Children. Her research addresses the idea that the dramatic increase in autoimmune and inflammatory diseases over the past 50 years results, in part, from changes in our exposure to microbes. She is studying the role of the community of microbes that inhabit the human intestine (the microbiome) in altering risk for, and the progression of, type 1 diabetes. 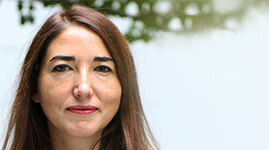 The ultimate objective of her work is to identify new therapeutics to prevent the disease. Dr. Denice Feig is a staff endocrinologist and head of the Diabetes in Pregnancy Program at Mount Sinai Hospital and the University Health Network. She is investigating whether the use of continuous glucose monitors before and during pregnancy can improve the health of women and babies affected by type 1 diabetes. Dr. Feig is also the principal investigator of a multicentre study looking at adding metformin to insulin in women with type 2 diabetes in pregnancy and following their children. 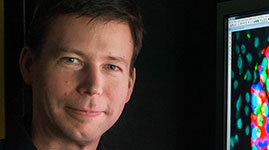 Dr. Timothy Kieffer is a professor in the Department of Cellular and Physiological Sciences and the Department of Surgery at the University of British Columbia. He is manipulating stem cells into glucose-responsive insulin-producing cells that can then be transplanted into people with type 1 diabetes. This procedure could one day reduce or eliminate the need for daily insulin injections. 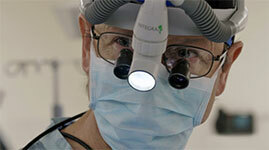 Dr. Gregory Korbutt is a professor of surgery at the University of Alberta. He is using different techniques to safeguard cells with the goal of developing a more accessible source of insulin-producing tissue for transplantation into patients with type 1 diabetes. 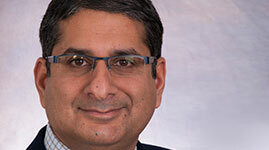 Dr. Korbutt and his team are using their new 3D ‘scaffolding’ technology to make islet transplants more widely available and functional.The scaffolding technology can help improve blood flow and oxygen to the transplant site, as well as allow incorporation of proteins into the scaffolds that will help keep the cells healthy. Find out more about Dr. Korbutt’s research. Dr. Megan Levings is an investigator at British Columbia's Children's Hospital and a professor in the Department of Surgery at the University of British Columbia. She is developing a test to monitor the health of T regulatory cells, which help control the type 1 diabetes autoimmune attack. Dr. Farid Mahmud is a staff physician in the Department of Endocrinology at The Hospital for Sick Children and an associate professor of pediatrics at the University of Toronto. He is identifying young people with type 1 diabetes (T1D) at high risk of developing kidney and heart complications, and assessing whether medications for lowering cholesterol and treating high blood pressure can serve as deterrents. Dr. Mahmud is also screening people with T1D for celiac disease, and evaluating whether a gluten-free diet improves diabetes management. 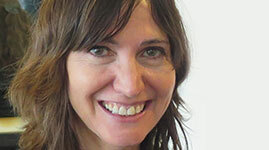 Dr. Maria Cristina Nostro is a scientist at the Toronto General Hospital Research Institute and an assistant professor in the Department of Physiology at the University of Toronto. She is also a principal investigator at the McEwen Centre for Regenerative Medicine and holds the Harry Rosen Chair in Diabetes and Regenerative Medicine Research. By combining expertise in stem cells and developmental biology, she is pioneering novel transplantation approaches aimed at creating an ideal environment for the survival of stem cell-derived insulin-producing cells. 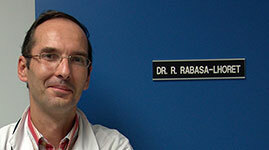 Dr. Rémi Rabasa-Lhoret is an endocrinologist and supervisor of the external artificial pancreas research project at the Montreal Clinical Research Institute where he is testing this device for patients with type 1 diabetes (T1D). Two configurations of the artificial pancreas are being assessed: one that infuses insulin, and another that infuses insulin and glucagon (a hormone that can help raise blood sugar and reduce the risk of hypoglycemia). The artificial pancreas could help people with T1D reach target blood sugar range, thereby decreasing the risk of chronic complications and simultaneously reducing the risk of hypoglycemia, which remains the most common adverse effect of insulin therapy. Dr. Michael Riddell is a professor in the School of Kinesiology and Health Science at York University. His research is focused on reducing excessive levels of insulin and preventing hypoglycemia in people with type 1 diabetes (T1D). Dr. Riddell led a team of researchers to determine guidelines for exercising safely with the condition. He is also a member of a multidisciplinary team working to design the T1D Performance in Exercise and Knowledge (PEAK) Program that will provide people living with T1D the tools they need to better manage their disease, including access to international educational events hosted by global experts and online materials. Dr. Riddell is also experimenting with a new drug that halts hypoglycemia, which will soon be ready for clinical trials. As a senior scientist at LMC Diabetes & Endocrinology, he oversees studies on optimizing insulin management for exercise in active people living with T1D. To find out more about Dr. Riddell’s research on exercise, click here. Dr. James Shapiro, a multi-organ transplant surgeon at the University of Alberta, led the team that introduced the Edmonton Protocol, which optimized the medication given with islet transplants. Currently, he is conducting a phase I clinical trial on transplants using a product containing pancreatic progenitor cells (the precursors of stem cells) housed inside a device that protects them from being destroyed by the immune system. Dr. Shapiro is also leading clinical trials to switch off autoimmunity and repair injured beta cells at the time of diagnosis of type 1 diabetes. These promising tools could one day elminate the need for insulin injections. 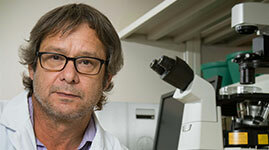 Dr. Paul Fernyhough is a professor at the University of Manitoba and the director of the Cell Biology of Neurodegeneration Lab at St-Boniface Hospital Research Centre in Winnipeg. His research has focused on the neurodegenerative disorders of the peripheral and central nervous systems in patients with diabetes. Dr. Bruce Perkins is an assistant professor and an endocrinologist at the University of Toronto’s University Health Network. As a diabetes complications clinician-investigator and a Canadian Diabetes Association scholar, Dr. Perkins receives funding from JDRF, the Canadian Institutes of Health Research, and the Banting and Best Diabetes Center. His research methods focus on cohort studies and clinical trials in diabetic nephropathy and neuropathy. 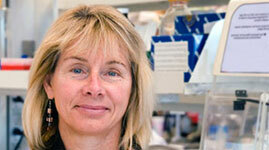 Dr. Gillian Booth is a scientist at the Centre for Urban Health Solutions (C-UHS) within the Li Ka Shing Knowledge Institute of St. Michael’s Hospital in Toronto. She is also an adjunct scientist at the Institute for Clinical Evaluative Sciences (ICES), an associate professor in the Department of Medicine and the Institute of Health Policy, Management and Evaluation at the University of Toronto, and a practicing endocrinologist. Dr. Booth’s research focuses on how socioeconomic, environmental and health care factors influence the risk of diabetes and its complications. Dr. Shugo Sasaki was a practicing endocrinologist in Japan for 10 years before his research took him to Canada. Today, he is a postdoctoral fellow at the University of British Columbia where he is testing human embryonic stem-derived surrogate beta cells that produce a specific protein, which helps protect beta cell transplants from death and dysfunction in diabetes. Dr. Francis Lynn completed his PhD at the University of British Columbia (UBC) where he became interested in beta cells, diabetes and gene regulation. Postdoctoral studies in San Francisco led to his interest in studying beta cell development and function. Currently, Dr. Lynn is a professor at UBC and a scientist with the British Columbia's Children’s Hospital Research Institute where he is examining genetically improved stem cells as a promising treatment to cure diabetes. Dr. Aaron J. Kowalski was appointed JDRF’s first Chief Mission Officer in December 2014 and serves as a key link between JDRF and the broad diabetes community. 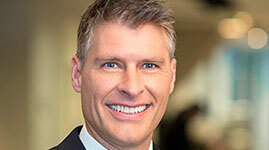 In this role, he leads JDRF’s Research and Advocacy groups. Dr. Kowalski combines his professional experience as a scientist with his personal experience of living with type 1 diabetes (T1D) for over 30 years to help guide and champion JDRF’s programs focused on creating a world without T1D. Dr. Xiao Yu (Shirley) Wu is a full professor of advanced pharmaceutics and drug delivery at the University of Toronto. She is an internationally recognized expert and leader in controlled release dosage forms, and novel drug delivery strategies and delivery systems. Her current research, funded by JDRF, focuses on the development of a glucose-responsive microneedle patch that regulates the release of therapeutic hormones and has the potential to prevent hypoglycemia. Dr. James (Jim) Johnson is professor in the Department of Cellular and Physiological Sciences, and the Department of Surgery at the University of British Columbia. A world-leader in the fundamental biology of pancreatic islets, insulin action, diabetes and related conditions, he is a renowned author and the editor-in-chief of the journal, Islets. In 2016, Dr. Johnson co-founded the Institute for Personalized Therapeutic Nutrition in Vancouver – a non-profit organization dedicated to research, clinical care, and advocacy for people living with diabetes. Dr. Despoina Manousaki is a PhD student in human genetics at McGill University and a researcher at the Jewish General Hospital (Lady Davis Institute) in Montreal. Her current study explores whether low levels of Vitamin D in the blood increase the likelihood of type 1 diabetes.